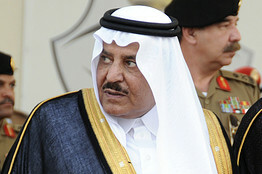 Salman was named as the country’s new crown prince in 2012, succeeding his brother Nayef. He is also one of the seven sons born to Ibn Saud’s favorite wife, Hassa bint Ahmed al-Sudairi. 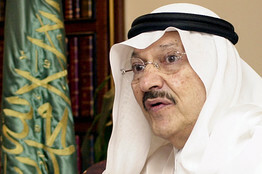 In 1962, he became governor of Riyadh Province and ruled the province until he became defense minister in 2011. 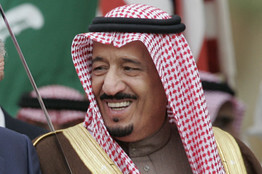 Salman has played an increasingly prominent role in Saudi politics in recent years. He is known to favor close political and economic ties with the West. Born in 1935. 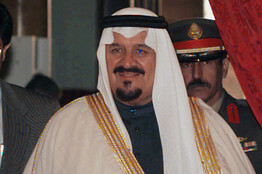 Abdullah became king in 2005 after spending a decade as an effective ruler of the country during the illness of King Fahd. Abdullah pushed a program of cautious domestic reforms aimed at reconciling the kingdom’s conservative social identity with the needs of a modern economy. He responded to the 2011 Arab Spring by banning protests and supporting dictatorial allies in neighboring countries. Below, explore details on the remaining sons and brothers in the family, organized by earliest generation to later. 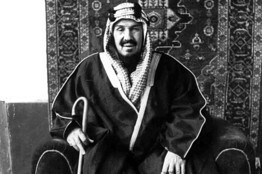 As a young man, Ibn Saud led a small band of men to recapture his family’s ancient territory of Riyadh, in central Arabia, and went on to build a desert kingdom under the flag of Islamic revival. On Sept. 23, 1932, the country was named the Kingdom of Saudi Arabia. By the time of his death, it stretched from the Gulf to the Red Sea and from Iraq to Yemen. 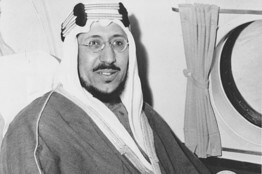 Upon Abdulaziz’s death in 1953, his eldest son, Saud, acceded to the throne. 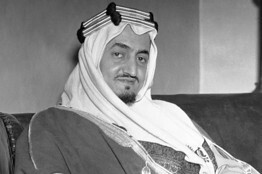 Some historians said of Saud that he would have made a wonderful Bedouin chief. But as the leader of a modern state, with growing oil revenue, he oversaw a disordered government that squandered its new found wealth and failed to respond to the needs of a new age. Faisal secured the throne in 1964, after a protracted power struggle with his half brother King Saud, and turned the desert kingdom into a functioning modern state. He oversaw the rise of Saudi Arabia as a world energy powerhouse during the Arab oil embargo of the early 1970s. He was assassinated by a nephew in 1975. Khaled became king as an elderly man with a strong sense of religious duty. He was appalled by the 1979 siege of Mecca, in which Islamic extremists seized the holy mosque and could only be forced out after a violent battle. Fahd was the eldest of the so-called “Sudairi seven,” a powerful group of seven princes born to Ibn Saud’s favorite wife, Hassa bint Ahmad al-Sudairi. 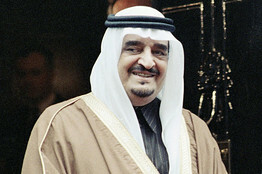 A leading member of the government and royal family from the 1960s onwards, Fahd modernized the kingdom’s infrastructure with grand projects, but allowed Islamic conservatives greater sway over education and society. King Fahd never fully recovered from a stroke in 1995, and gave his half-brother Abdullah de facto control of the kingdom more than a decade before his death in 2005. Sultan was the second of the so-called “Sudairi seven,” a powerful group of seven princes born to Ibn Saud’s favorite wife, Hassa bint Ahmad al-Sudairi. He became the country’s defense and aviation minister in 1962, a role he used to cement Saudi relations with Western countries using a string of massive arms contracts. 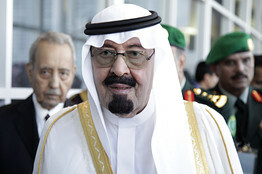 He died in October 2011 in New York City, after six years as heir to his elder half brother, King Abdullah. According to Saudi Arabia’s state news agency, Sultan was born sometime in 1928, though some experts on the Saudi monarchy believe he was actually born in 1925. Prince Talal is known as the Red Prince for his politically liberal views. He led the Free Princes movement in the 1960s, which called for the end of the absolute monarchy in Saudi Arabia and expanded civil rights, reforms that his family shot down. He is an active member of UNESCO. Nayef was one of the so-called “Sudairi seven,” a powerful group of seven princes born to Ibn Saud’s favorite wife, Hassa bint Ahmad al-Sudairi. In 1975, he was made Interior Minister. 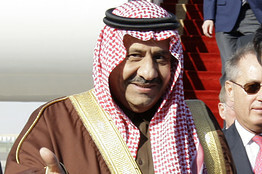 Nayef succeeded Crown Prince Sultan bin Abdulaziz al Saud as heir to the throne in October 2011. He was about 70 when he died in June 2012, although his exact birth date wasn’t recorded. 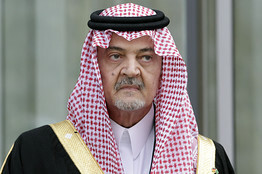 Muqrin was the head of the country’s intelligence agencies until 2012, when he was replaced by his nephew, Prince Bandar bin Sultan, and named adviser and special envoy to King Abdullah. 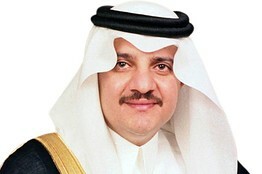 In February 2013, the king named Muqrin second deputy prime minister, making him second, after Crown Prince Salman as likely successor to the throne. Born in 1945, Muqrin is the youngest surviving member of Abdulaziz’s sons. 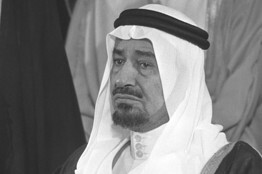 King Khalid appointed Prince Saud as foreign minister in 1975. He was born in 1940. He was appointed Minister of Education in December 2013 with a mandate to reform the education system and eliminate extremism from schools. Before that he was Governor of Mecca Province, home to Islam’s holiest sites. Prince Miteb, a son of Abdullah, inherited from his father the leadership of the Saudi Arabian National Guard, the military force that evolved from Ibn Saud’s original tribal army and later functioned as a sort of Praetorian Guard to protect the regime from possible coups. Alwaleed owns a majority stake of Kingdom Holding Co. Alwaleed invests in banks, hotels and media firms. Mohammed was appointed governor of the Eastern Province in 1979, soon after a Shia rebellion there. The Eastern Province is not only home to the Shiite minority but is the center of Saudi oil production. Mohammed was replaced in January 2013 by his cousin, Saud bin Nayef. In April 2013, King Abdullah removed Prince Khalid as Deputy Minister of Defense, which was seen as lowering his profile in the Saudi family. Analysts pointed to Prince Khalid’s perceived poor performance in a 2009 Saudi military offensive across the border in Yemen, and to questions about his role in arms deals. 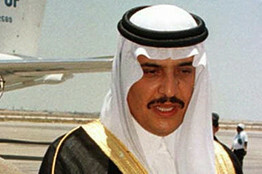 The eldest son of late Crown Prince Sultan, Prince Khaled commanded Saudi forces during the Gulf War of 1991 and the maladroit operation against Yemeni rebels in 2009. He was born in 1959. 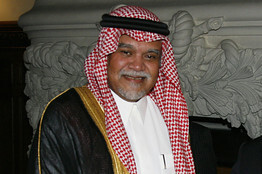 Another son of late Crown Prince Sultan, Prince Bandar was popular with Western leaders as Saudi envoy to the U.S. from 1983 to 2005. He forged close relationships with both President George H.W. Bush and President George W. Bush. Former chief of general intelligence. 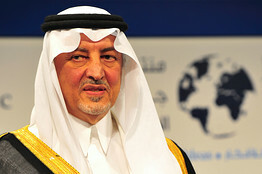 Prince Saud was named governor of the oil-rich Eastern Province in January 2013. He served as ambassador to Spain from 2003 until 2011, when he returned to Riyadh to serve at the court of his late father, Crown Prince Nayef. A son of late Crown Prince Nayef, Prince Mohammed is perhaps the best regarded of Ibn Saud’s grandsons among foreign analysts of the kingdom. King Abdullah named him Interior Minister in November 2012. His deft handling of the al Qaeda bombing campaign from 2003 to 2006 eviscerated the organization inside Saudi Arabia, while his network of spies have foiled repeated attacks by the group’s Yemeni wing. He was born in 1959. Born in 1970. He was appointed governor of Madinah Province in January 2013. Born in 1980. His father’s royal court chief and special adviser. He founded a charity to empower and develop youth. Secretary-General of the Saudi Commission for Tourism and Antiquities.